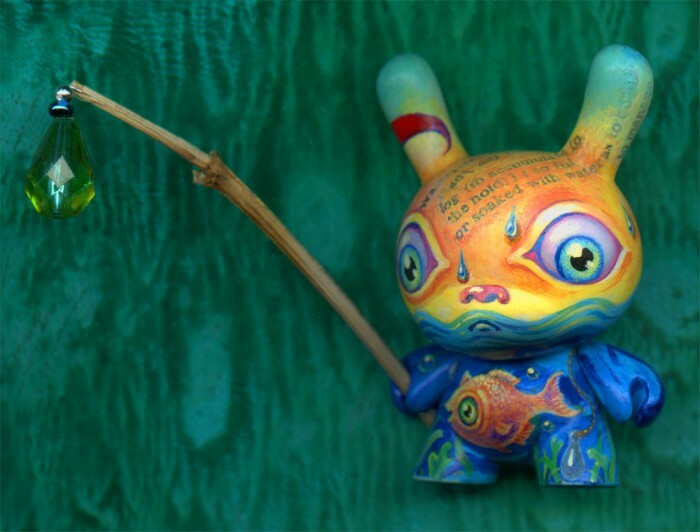 It has been a long & winding road, but I finally finished the second custom Dunny– actually the fourth for this collector. This little fellow will be a traveling companion for Azulejo, soon to be crossing the ocean to Portugal! 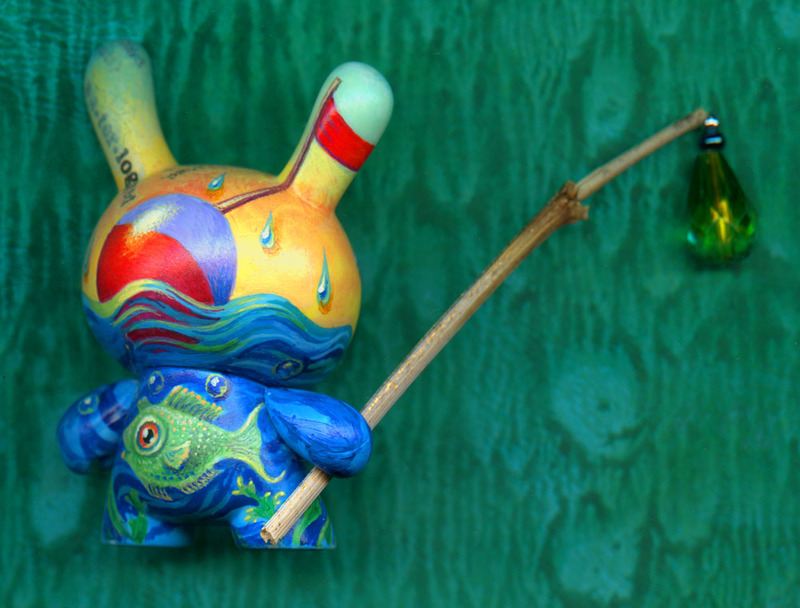 This entry was posted in Toys and tagged Acrylic, Custom Vinyl, Droplets, Dunny, Fish, Vinyl Toy, Water on 23September 2015 by Leah.